As non-commercial and national knowledge bases, we support Higher Education and Research Institutions by providing metadata for electronic resources management and discoverability. Our activities support the electronic resources supply chain that involves content providers and system vendors/link resolvers. We focus on quality service and user satisfaction. Our commitment has been to make all our title lists open and freely available, as we wish libraries to benefit from our work no matter which system they use. We are the trusted source of metadata for our respective national communities. We provide metadata that meets the needs of our academic library communities. Our metadata is corrected and updated in a timely manner to avoid access delays and minimize the financial and performance losses for libraries that may result from such delays. We help academic libraries to manage their electronic resources in a context of budget restrictions which give them less and less resources to maintain their local link resolvers’ targets and databases. All the data available should be uploaded into system vendors’ knowledge bases and link resolvers. All targets should be clearly labelled with either the Knowledge Base Plus, BAse de COnnaissance Nationale, or Electronic Resources Database-JAPAN prefix to help identification. What packages have been/will be uploaded (including their public label). The date when data was/will be uploaded. Number of titles contained in these targets according to your system. How often data is updated on your systems and how the process is performed. If there is a change in the data, are these changes made by a person or a system? Specific technical requirements from individual vendors’ knowledge bases (such as required URL formats or date formats) should be openly available and if possible harmonized in order to facilitate data creation. If Electronic Resources Database-JAPAN, Knowledge Base Plus and BAse de COnnaissance Nationale have this information, we may be able to fix any upload problems before harvesting. The total number of BAse de COnnaissance Nationale/Knowledge Base Plus/Electronic Resources Database-JAPAN packages included in your system. The total number of institutions that have activated them (by country). The total number of Electronic Resources Database-JAPAN, Knowledge Base Plus and BAse de COnnaissance Nationale packages included in your system versus similar targets from different sources, such as publishers. BAse de COnnaissance Nationale (BACON) is a service that has been provided by the French ABES (Agence Bibliographique de l’Enseignement Supérieur) since 2015. It makes trusted KBART v2 formatted metadata for e-resource packages available to French Higher Education institutions. This metadata, issued under a CC0 licence, can be downloaded via BACON’s website and is accessible thanks to web services. KBART files can be then used by knowledge base vendors, libraries, etc. BACON focuses particularly on French content and works with French academic publishers to enhance their metadata. 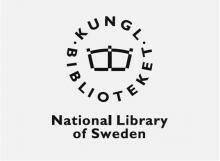 Thanks to a semi-automated workflow that analyses the data sent by publishers and compares it with trusted metadata sources (SUDOC, the ISSN registry, the French National Library catalogue), we are able to send detailed reports to publishers to help them spot mistakes or inconsistencies in their metadata. If the publishers then correct their metadata, ABES grants them a “quality label”. However, the major benefit for publishers – and for everyone in the supply chain – is that the corrected and enhanced metadata can be used in any metadata feed (ONIX, MARC, data sent to discovery tools vendors, etc.). Electronic Resources Database-JAPAN (ERDB-JP) was launched in 2015 as a one-of-a-kind knowledge base that cumulates electronic resources that were either written in Japanese and/or edited/published in Japan. ERDB-JP is operated by the E-resources Data Sharing Working Group, which was established by the Future Scholarly Information Systems Committee. Together with 47 domestic partners including universities, publishers and knowledge-base vendors, we collect and update content metadata for ERDB-JP. The accumulated content metadata is provided in Extended KBART or Extended KBART2, the extended formats of KBART for Japanese language use, and is available under CC0 Licence. 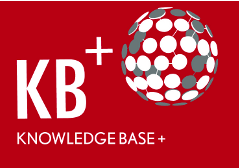 Launched in 2012, Knowledge Base Plus (KB+) is a centrally maintained and managed knowledge base in which Jisc Collections and Bibsam collate, verify and update knowledge base data, to avoid costly and wasteful duplication of effort by libraries all trying to do the same thing by themselves. KB+ includes verified, accurate and up-to-date publication information for e-journal agreements, including national and regional consortium agreements from across the UK and Sweden and a growing number of non-Jisc packages. All of this is made available under an open licence and disseminated throughout the library supply chain so that organizations have the data they need when they need it. KB+ data includes data related to Scottish Higher Education Digital Library (SHEDL), Bibsam and Welsh Higher Education Electronic Library (WHEEL) consortia.